Howdy Operatives! We’ve got something very special for you today. 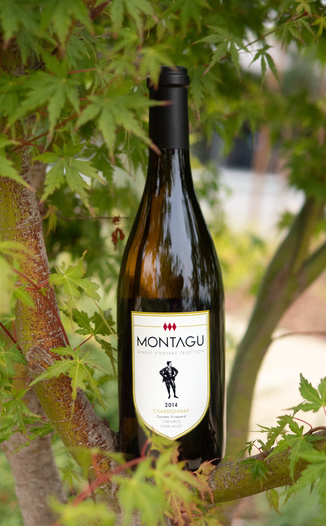 The super popular Montagu makes their return to our pages, with a very special offer on their 2014 Single Vineyard Corotto Vineyard Carneros Napa Valley Chardonnay. 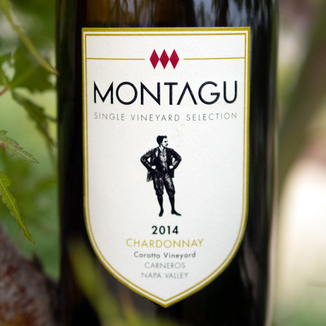 The last time we featured a Montagu wine, we sold out quickly. If you love amazing Chardonnay, don’t hesitate. Please reserve yours soon. This wine is a shining example of Carneros Chardonnay. The Carneros AVA (American Viticultural Area) which was officially designated in 1983, and straddles Sonoma and Napa Counties, and is one of the hotspots for California Chardonnay. 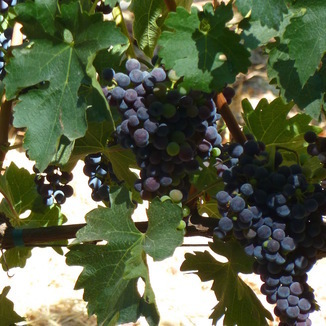 The Crotto Vineyard, where this wine was born, sits between Larry Hyde’s famous vineyard, and Artessa Winery. A scant 6 barrels were produced of this very rare and remarkably high-quality Chardonnay. This Chardonnay has excellent clarity and is a startling shade of school bus yellow. The nose is intriguing, offering less common notes of Irish butter and subtle pine, along with more traditional aromas of toasted coconut, baked apple, and quince. There’s ample butter on the palate indeed, but also plenty of fruit with marmalade and quince dominating. Oak flavors lent to the wine include vanilla and scotch. This old-world style Chardonnay has a luxurious, soft mouthfeel thanks to the full malolactic fermentation it went through. Definitely, traditional Chardonnay pairings would be the way to go here, such as lobster bisque. 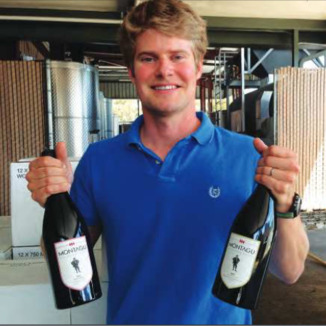 Montagu is a family-owned winery that was founded by Weston Eidson. The inspiration for today’s wine came when Weston worked with Jason Moore from Modus Operandi Cellars (We’re big fans of Jason and his wines!) during the 2012 harvest in the Napa Valley. Montagu is a tribute to Weston’s great-grandfather, John, who was the second Lord of Beaulieu and a British automotive pioneer who was the first person to drive an automobile into Parliament. John’s son, and Weston’s great uncle Edward, the third Lord of Montagu, continues his legacy having founded the British National Motor Museum and works to preserve British history. He also is a lover of wine and has his own vineyard that he planted in southern England. The winery focuses on single-vineyard wines, like today’s stunning steal from the Crotto Vineyard. Excellent clarity and is a startling shade of schoolbus yellow. Irish butter, subtle pine, toasted coconut, baked apple, and quince. Buttery, marmalade, quince, vanilla, and scotch. Luxurious, soft mouthfeel thanks to the full malolactic fermentation it went through. Traditional Chardonnay pairings would be the way to go here, such as lobster bisque.